There are different types of mobile recharge plans. Some plans come with long-term validity, few plans come loaded with data benefit solely, there are plans that offer only calling benefits and then you have top-up plans. There are some plans that offer both data and unlimited calling but their monthly tariff is higher which may not sound reasonable to some users. This is the reason why every telecom company has a set of top up plans that are cheap and offer data as well as calling benefits to users. There are a large number of top-up plans available today in the market. But when buying the plan, you should know if there is any better plan available than the one you are buying. Jio top-up plans: Jio has two types of top-up recharge plans- one that offers regular talktime and the other with full talktime benefit. Jio offers three regular and nine full talktime plans but we tell you the best one you can choose for. -- If you are low on budget we would suggest you to buy Rs 50 top-up plan that comes with unlimited validity and offers talktime value of Rs 40.48. -- Full talktime is any day better than regular talktime plans because you get full value for your money. Jio has nine full talktime plans starting at Rs 100 and going all the way up to Rs 5000 but spending more than Rs 300 seems pointless because - (a) you don't get any data benefit in the plan and (b) there are cheaper plans that offer both data and calling benefits to users. -- Jio offers Rs 100, Rs 150, Rs 200 and Rs 300 top-up plans that offer full talk-time value. Jio calls are always free. Talktime in case of Jio refers to monetary value which can be used for availing chargeable services, while the subscriber is on an active plan. 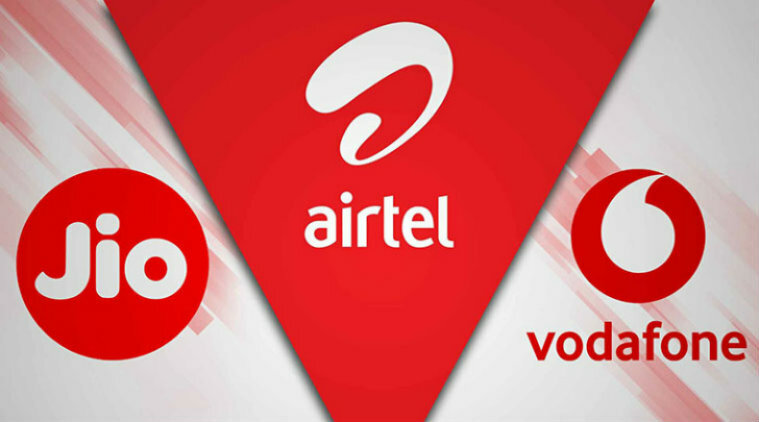 Airtel top-up plans: Airtel has recently introduced five smart recharge plans for its users priced at Rs 34, Rs 64, Rs 94, Rs 144 and Rs 244. --The Rs 34 smart recharge plan offers 100MB data and a talktime of Rs 25.66. The validity is for 28 days and outgoing calls on home network are charged at 2.5 paise per second. -- Recharging your Airtel number with Rs 64 will get you 200MB data, talktime value of Rs 54 and outgoing calls on home network charged at 1 paise per second. Validity is for 28 days. -- The Rs 94 Airtel smart recharge offers 500MB data, talktime value of Rs 94,and outgoing calls charged at 30 paise per second for a validity of 28 days. -- Airtel Rs 144 smart recharge offers full talktime of Rs 144 along with 1GB data for 42 days of validity period. The outgoing calls are charged at 30 paise per minute. -- Last but not the least is the Rs 244 smart recharge option that offer full talktime value along with 2GB data for a validity period of 84 days. The outgoing calls are charged at 30 paise per minute. Vodafone top-up plans: Vodafone offers a regular talktime at Rs 10 with talktime value of Rs 7.47. There are also two full talktime plans at Rs 1000 and Rs 5000 respectively. -- Vodafone has a Rs 27 top up plan that offers 450MB data with a validity of 28 days. -- Vodafone offers Rs 49 voucher that gets you 1GB data for 28 days. -- Last but not the least is the Rs 98 plan offers users 3GB internet for 28 days.